This post, which is the latest in my series on cosmology, is about the ultimate fate of the Universe, a subject which has engaged scientists, philosophers and religious leaders for centuries. There are many possible endings to the Universe, but the outline I will present here, which is sometimes called “The Big Freeze”, is the most commonly held view based upon the known laws of science. As readers of my previous posts will recall, the Sun is one of around 400 billion stars in the Milky Way galaxy and the Milky Way is one of over 200 billion galaxies in the observable Universe (ref 1). Our galaxy, together with the large spiral galaxy in the constellation Andromeda and around 50 smaller galaxies form a collection of galaxies called the the Local Group. 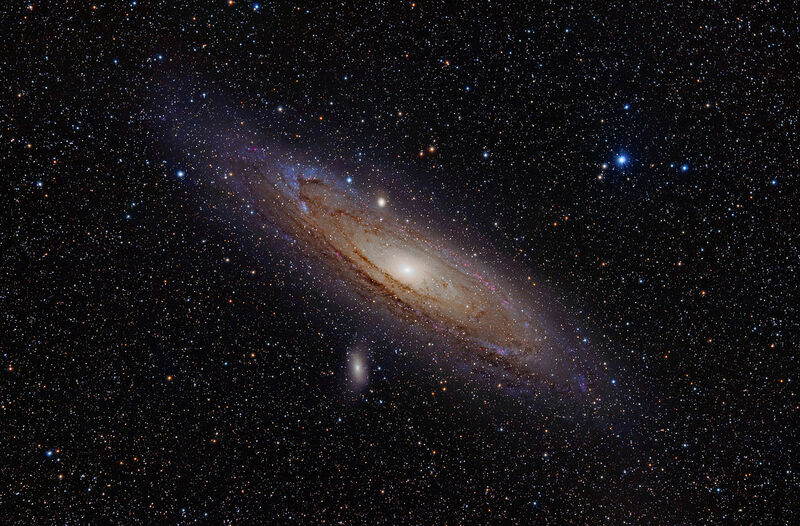 The Andromeda galaxy – the nearest large galaxy to the Milky Way. 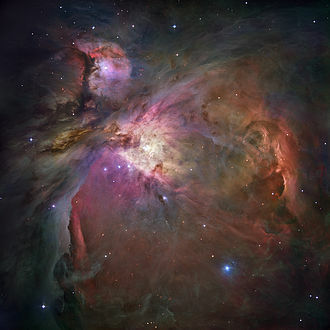 It lies 2.5 million light years, roughly 25 million trillion km, from Earth. As readers of my previous post The Universe Past, Present and Future will recall, the Universe is expanding and, in general, the further away a galaxy is from us the faster it appears to be moving away from us. This does not apply to the galaxies in the Local Group. In fact, the Andromeda galaxy is moving towards the Milky Way at about 400,000 km/h and the Milky Way and Andromeda are expected to collide in about 4 billion years time. When this happens, a large new single galaxy will be formed. 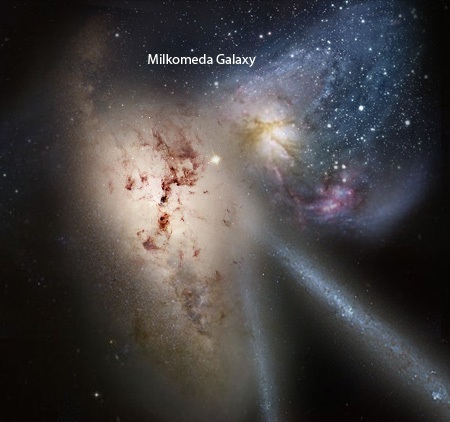 The new galaxy which will be formed by the merger is sometimes called Milkomeda (ref 2) and, over billions of years, it will gradually absorb the other Local Group members. When this merger occurs it is unlikely than any stars within either galaxy will collide directly because the distances between stars is so great, but the clouds of gas found between stars will collide and merge. Outside the Local Group the expansion of the Universe will continue. As discussed in a previous post, this will be driven by dark energy. The speed that a galaxy is moving away from us depends upon its distance. As a galaxy moves a greater distance away from us, then the speed at which it moves increases. When it moves so far away that it is travelling faster than the speed of light we can no longer see it. This is shown in the table below. This table shows how the distance of a nearby galaxy which is now 10 million light years away from us (about four times the current distance of Andromeda and thus well beyond the Local Group) increases with time. The last column shows how fast this galaxy is moving in units of kilometres per second. 1 kilometre per second is 3,600 km/h. In about 105 billion years time, this galaxy would have moved out to a distance of 14.7 billion light years and would be moving away from us at a speed 301,700 km/s, which is more than 1 billion km/h. However, the speed of light is around 300,000 km/s and, because this galaxy would be moving faster than the speed of light, its light would not be able to reach us and it would no longer be visible. See Note 1. In fact, in 120 billion years time, all galaxies outside the Local Group will have moved so far away that the light from them will be unable to reach us. 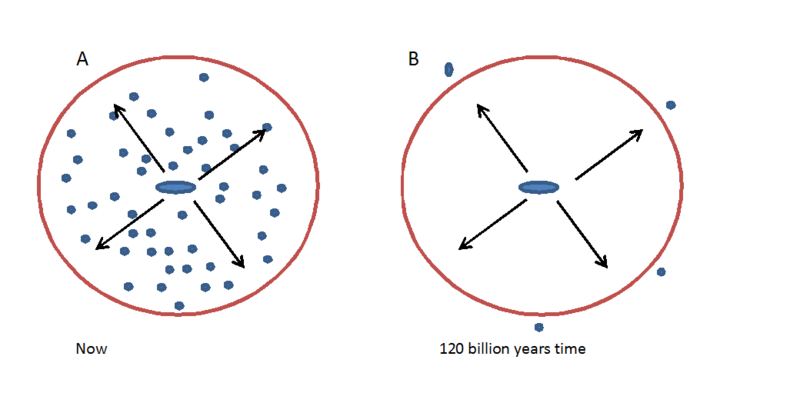 In the diagram above, the furthest distance than a galaxy can be away from us but still remain observable (in principle) is marked with the red circle. The left hand side of the diagram shows the situation today with all galaxies outside the Local Group moving away from us. but plenty of galaxies still visible. The diagram is greatly simplified because there are actually 200 billion galaxies in our observable Universe. The right hand side of the diagram shows the situation in 120 billion years time when all galaxies have moved outside our observable Universe. By this time Milkomeda will have absorbed all the Local Group galaxies. So if there are any astronomers around, at this distant point in the future, the entire observable Universe will consist of a single galaxy, Milkomeda. 1-10 trillion years in the future – the dark era. As described in a previous post, stars consume hydrogen to produce helium and later on towards the end of their lives they make heavier elements. New stars are being created all the time from clouds of gas and dust. Many of the beautiful glowing nebulae seen through telescopes consist of glowing gas and dust clouds lit up by newly formed stars. Neutron stars are super dense objects in which the mass of a star is concentrated in a object about 10 km in diameter. A neutron star is so dense that 1 litre of its material would weigh 500 billion tons. None of these object emits any light so the observable Universe in 10 trillion years will be very dark and very cold, having a temperature a fraction above the lowest possible temperature which physicists call absolute zero. It will consist of black dwarfs, neutron stars and black holes, planets and other smaller bodies associated with them. At the centre of Milkomeda will be a large black hole many millions times the mass of the Sun. Milkomeda will consist of objects which are all in motion with respect to each other. Occasionally these objects will get close enough to each other so that their trajectories change slightly. When this happens the speed of one object may speed up and the other may slow down. This is essentially the same effect that spacecraft which visit the outer planets use. The Voyager space probes, for example, took energy from Jupiter’s orbit to slingshot them into the outer solar system and beyond. After a number of such collisions an object may get enough energy to escape from Milkomeda. Over a vast period of time, around 100 quintillion years, this will cause the galaxy to gradually shrink as dead stars and possibly their attached planets escape, and the remaining objects would be more tightly bound. 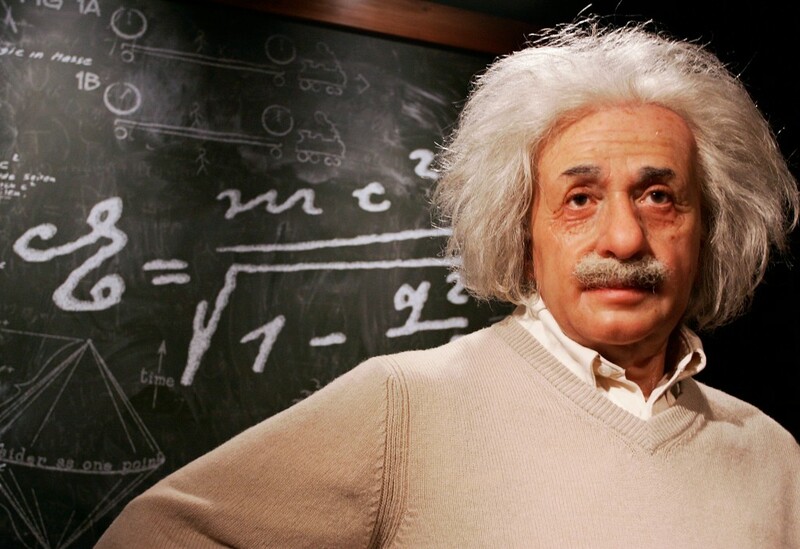 In 1916 Albert Einstein predicted the existence of gravitational waves. One object orbiting another will emit something called “gravitational radiation” causing it to lose energy and spiral slowly inwards towards the more massive object. It is generally accepted by astrophysicists that gravitational waves do exist, although they are incredibly difficult to detect and, despite astronomers looking for them for decades, they have never been observed. Assuming Einstein’s theory is correct, then also assuming that the Earth has survived the Sun’s red giant phase (which is unlikely) and that it not been detached from the Solar System by a near collision with a passing star (which almost certainly will happen if we wait long enough), in 100,000 quintillion years time it will spiral down to the surface of the Sun (see note 2). It also means that, over an even longer timescale of about 1,000,000 quintillion years, the eventual fate of all the massive objects which have not escaped from the galaxy is to fall into the super massive black hole which lies at its centre. In my next post in this series I will talk about even longer timescales. What will eventually happen to the black hole at the centre of Milkomeda? And what is the eventual fate of the objects which have not fallen into this super massive black hole? 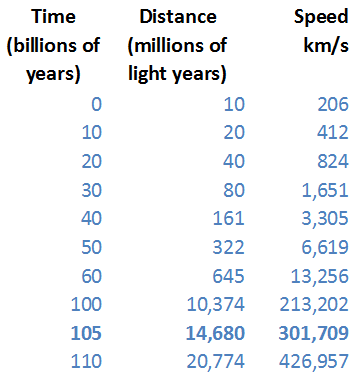 1 This distances in this table should be considered as approximate only and it assumes that the rate of expansion of the universe will not vary with time in the future, which may not be the case. 2 In fact the Earth would be broken apart by tidal forces due to the remnant Sun’s gravity before it hit the remnant Sun’s surface. 1 Cain, F (2013) How Many Stars are There in the Universe?, Available at:http://www.universetoday.com/102630/how-many-stars-are-there-in-the-universe/(Accessed: 19 February 2015). 3 Barrow, J D and Tipler F J. The Anthropic Cosmological Principle 1996 pp641. ISBN 0-19-282147-4. Reblogged this on Notes from the Overground . Fascinating theory -but I wonder if the concept of 110 billion years stretches suspension of disbelief too far. Have we gone off completely the idea of a ‘big crunch’? I enjoy reading your posts. Gad you’re enjoying reading my posts. I agree that 110 billion years is an incredibly long period of time compared to normal timescales, given that the Universe is believed to be “only” 13.7 billion years old. It is generally accepted that the big crunch wn’t happen. Recent observations have shown that the expansion of the Universe is speeding up. My previous post on dark energy discusses this in more detail. Yes, I have followed that argument, but the obvious question to ask is, can it speed up indefinitely? What really happens to mass and energy (not the dark stuff) when the speed of light is reached and exceeded? It seems to me the mathematics that has evolved to described the cosmology will break down. Not that the reality or otherwise of the situation is likely to engage any of us!! An interesting comment. What happens is that, as galaxy get further away from us, the faster it moves away. When it reaches a certain distance which is roughly 15 billion light years away from us, a galaxy would be moving faster away from us than the speed of light and we can no longer see it. Simply speaking this distance of 15 billion light years which is sometimes called the Hubble Sphere forms a kind of boundary to the observable Universe, beyond this distance there are (possibly an infinite number of) galaxies which are moving away from so fast we can’t see them. Of course, dark energy and dark matter are still very mysterious, so they may turn up some surprising new behaviour on such long timescales. Very interesting post, as are all of yours. Perhaps at some point you might consider posts on time travel and if it is possible for the laws of physics to change or be broken. I wondered why on a recent astronomy programme on tv about black holes why dark matter was never mentioned? Are the two related? Hi Erikleo and thanks for your comment. The two aren’t really related. 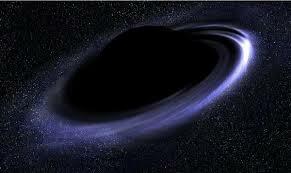 Black holes are objects where the gravitational field is so strong that nothing- not even light can escape. Dark matter is an, as yet undetected, form of matter which is believed to constitute most of the matter in the Universe. My recent post https://thesciencegeek.org/2015/02/18/dark-matter/ describes dark matter in more detail. But what will happen too the neutrinos? Really Like your post, It’s awwwsome…. So interesting! So, eventually, we either escape or be destroyed. Yes it is fascinating ! !